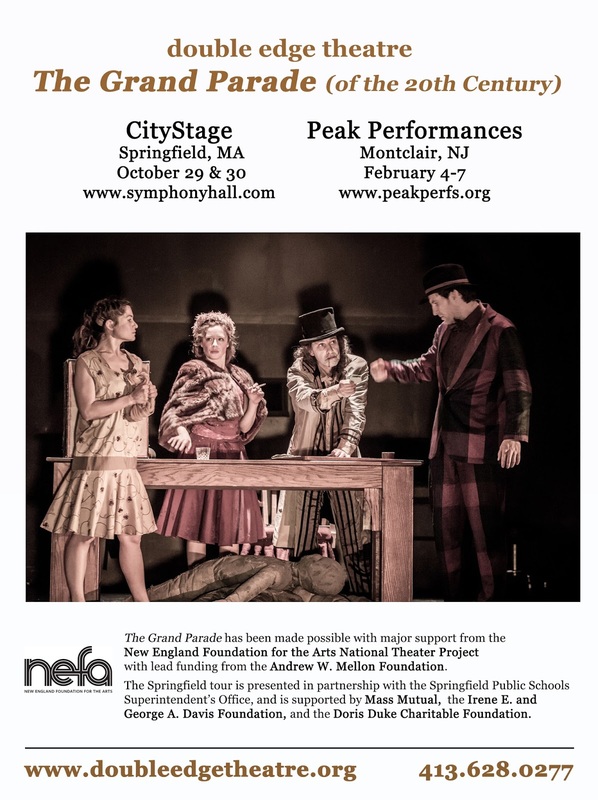 Double Edge is proud to be partnering with the Springfield Public Schools on the presentation of The Grand Parade (of the 20th Century) - a soaring spectacle of the 20th century inspired by the visual artistry of Marc Chagall that combines theatre with dance, live music, circus, puppetry, and flight. Double Edge will present two public evening performances as well as free matinees to nearly a thousand Springfield high school students, accompanied by post-performance conversations with the creators and performers. In addition, leading up to the shows, students and teachers will participate in a diverse roster of interdisciplinary in-class programs, including immersive theatre training workshops that introduce students to the company’s physical and imaginative ensemble training; a 20th century curriculum where students identify and reflect on icons, events, and memories from the last hundred years; and creative exercises for students to explore their century -- the 21st century. The work provides a unique opportunity for students to actively develop a personal and creative response to the 20th century - historically, mythologically, politically, and artistically, to reflect on their ancestry, history, and legacy. Students will be engaged imaginatively, physically, and intellectually to ultimately to contemplate their place in the world today. The Grand Parade in Springfield marks the beginning of a multi-year initiative aimed to deeply engage with Springfield’s youth population, artists, and the community at-large with performances, site-specific spectacles, training and mentorship opportunities, and collaboration. This project reflects the company’s mission to create ‘living culture’ that elevates the human potential. This means breaking the mold on how theatre is traditionally presented to include free performances, engage non-traditional audiences, and broaden access to art and creativity to communities historically underserved.